Stabilization is a mild process of the raw inner leaf gel of the plant Aloe barbadensis Miller, held by natural means, and the resulting of this process is the stabilized Aloe Vera gel. The quality of the stabilization process is in fact what determines the quality of the final product and the benefits that derive from using various Aloe Vera gel products. The plant genus Aloe has many species. Aloe barbadensis Miller - Aloe Vera is the most widely used and known, provides the greatest benefits for our health and it is the only species cultivated and used as raw material for the products of Forever Living Products. 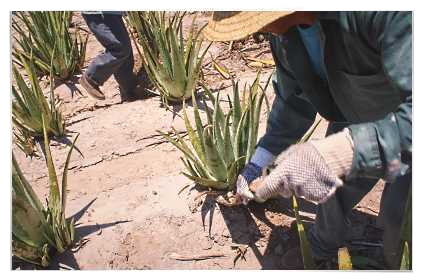 If you are using Aloe Vera for its "one thousand and one" uses in our daily life, it is better to cultivate your Aloe Barbadensis Miller plants and get your fresh gel, whenever you wish or need. Simply, cut the outer bigger leaf near the root of the plant, remove the gel from inside and consume it as soon as possible (if some gel leftover, you can keep it for 3 - 4 days in the fridge). And that is because Aloe Vera gel once it comes in contact with the atmosphere's oxygen, it is subject to oxidation, i.e. its precious ingredients start gradually losing their potency, up to the point they have not effectiveness at all. But if you live in an area with climate that is not conducive to Aloe plant growth or you can't have your own plants, then the Aloe Vera products that you will use, must be made ​​from stabilized Aloe Vera gel. If not, in a short period of time they will be useless. 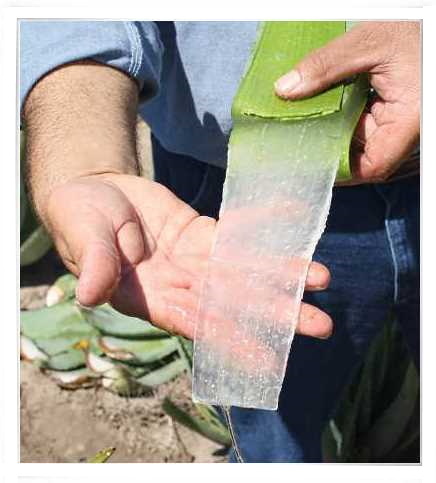 The inner gel of the leaf of the Aloe Vera plant in its natural state, because of the hard outer rind of the leaf, doesn't lose moisture and it is protected from contact with the corrosive effect of atmosphere's oxygen. But once we cut a leaf from the plant, the process of oxidation begins and gradually destroys valuable for our organism nutritive components of the gel. And thus, the longer the gel is left in the air, both more losing its potency. 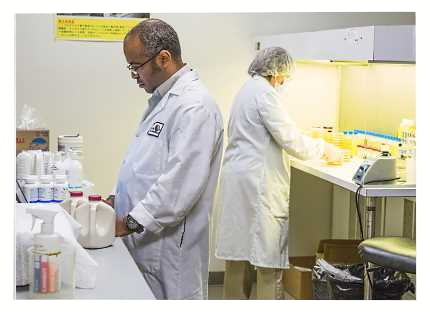 To prevent this rapid inactivation of the gel, so as to be maintainable in order to be turned into products, to be distributed and to be consumed, Forever Living Products since 1978 has invested in scientific research to find the best solution. The researches resulted in stabilization, which is a process that prevents oxidation and destruction of the active substances and maintains Aloe Vera gel in a situation very close to the original natural state, without losing any of its potency and effectiveness. 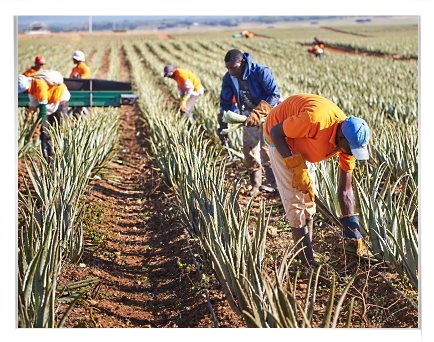 In fact, stabilization "begins" at the same time with the harvest, takes place immediately or as soon as possible after the harvest and keeps the ingredients of Aloe Vera gel intact and active for a long time. So, we the consumers can be sure at any time for Forever Living's Aloe Vera products excellent quality and potency and their "as close to natural as possible" state. 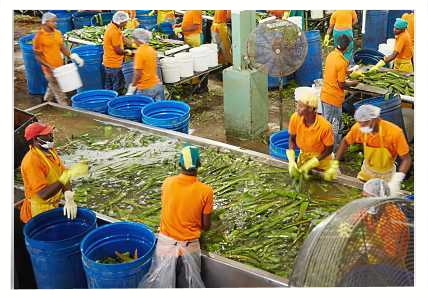 Forever Living Products holds the exclusive patented stabilization process of Aloe Vera (we'll talk further about it later), which takes place in processing plants that are located very close to the plantations, so as the sooner to extract and stabilize the fresh gel. Thus, when we use a Forever Living's Aloe Vera product, we can be sure that the 100% stabilized Aloe Vera gel retains its freshness, as if we have just cut a leaf from the plant and extract the inner fresh gel. 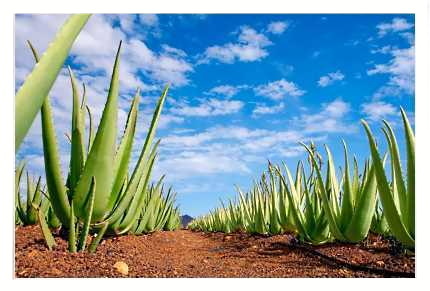 Forever Living Products has to ensure the best Aloe Vera in the world, because this is the main raw material of its high quality products. 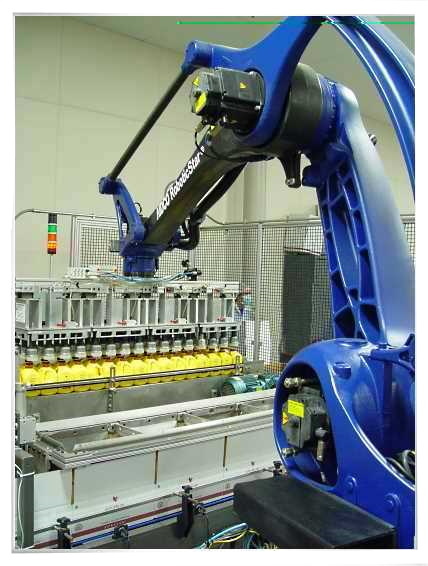 For this reason, the structure of its business is vertically integrated and FLP controls the entire process of its operation, from the plant cultivation, extraction and stabilization of the gel, to the preparing, packaging and distribution of its products, thereby ensuring the final quality its customers are enjoying. 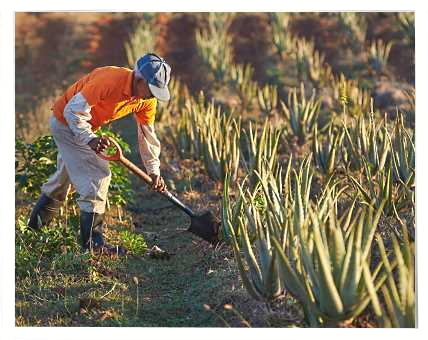 Forever Living Products owned plantations in Rio Grande Valley in Southern Texas, in areas in Northern Mexico and the Dominican Republic (where is located the largest Aloe Vera plantation in the world in an area of 6,000 hectares), which yield 80% of world production of Aloe Vera. Forever Living Products employs indigenous farmers, provides to them steady job, a satisfying salary and excellent working conditions, and these farmers are among the best-paid and most contented laborers in their country. 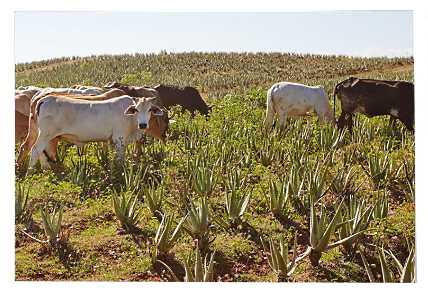 These farmers giving the best care, cultivate the plants and collect the leaves with their hands, having in heart feelings of respect and love for Aloe Vera, which guaranteeing them a good life. Forever Living does not use chemical fertilizers and pesticides on its plantations, because it really respects the environment, but without compromising in the detriment of the health and quality of plants. Instead, it uses free range sheep, goats and cows to provide 100% natural fertilizer and cleaning of plants from pests. Forever Living also uses other natural methods, such as return and rejection of the outer rind of the leaves in the fields of plants for natural recycling. Thus, ground is enriched and renewed, plus useful nutrients for the seedlings are available. So plants grow up in a healthy environment, rich in soil nutrients and plantations yield excellent crops. Stabilization has a unavoidable "negative gap" of time (that's why we say that stabilization "begins" at the same time with the harvest) which should be as short as possible. 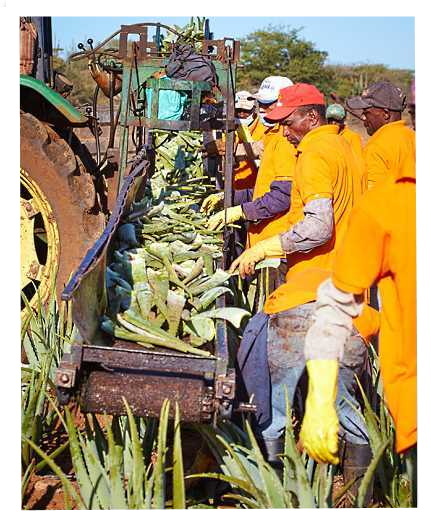 This "gap" is the time between harvesting of the leaves, their transportation to the processing plant (although Aloe Vera has a protective capacity of strengthening the intersection of the leaf, so as not to come into contact with the air and lose moisture the inner gel) and the extraction of the gel. 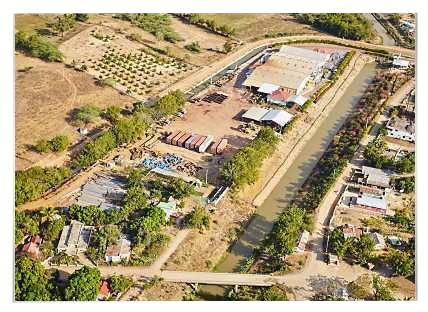 Forever Living's processing plants located at the edges of the plantations, so as to be able to cover rapidly that "gap". 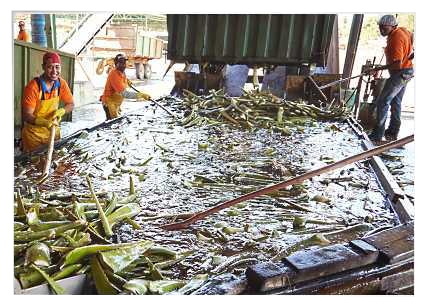 The leaves upon arriving at the processing plant are rinsed several times with clean water. 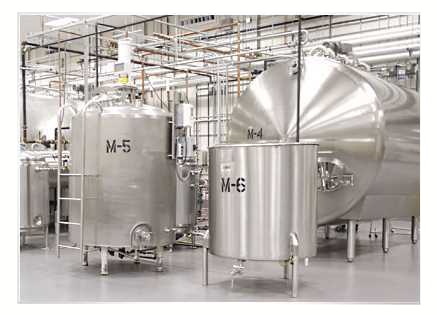 Then, they are washed with high pressure, so as to remove the latter pollutants and other micro residues. Then, after each leaf individually is optically checked for defects and whether it meets Forever Living's high quality standards, the top and bottom edge is cut and the leaf goes for the final wash. After that, leaves are ready for the extraction of the inner gel. 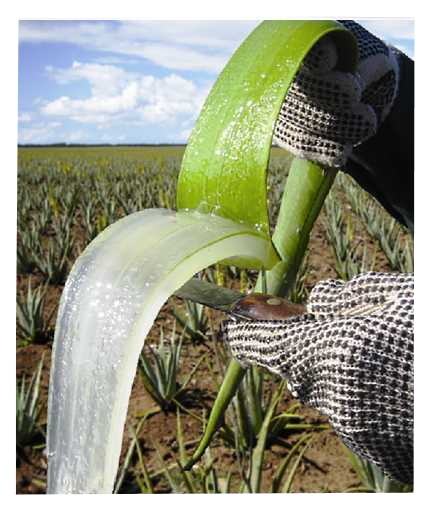 Several companies that manufacture products from Aloe Vera use the whole leaf with the outer green rind for specific reasons, or for commercial purposes without taking into account that the green rind of the leaf has not substantial health benefits. If no special reason, Aloe Vera gel should be pure and not mixed with Aloe Latex and the hard green rind. 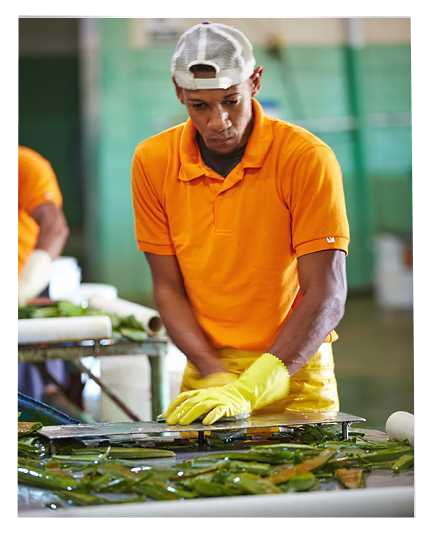 In Forever, skilled workers separate the Aloe Vera gel from the rind of the leaves. The rinds afterwards are thrown to the plantations fields for recycling. Then, the gel is filtered, so as the last remnants of unwanted rind or Latex to be removed and the filtered finest pure Aloe Vera gel is collected in steel containers. Immediately after, pure Aloe Vera gel is subjected to a particular scientific process, the stabilization, that extends the duration of the gel's freshness and effectiveness, and protects from oxidation all of its valuable nutrients. The resulting is that the final product contains intact and effective at any time almost all the quantities of the components of the natural, fresh, raw Aloe Vera gel. Step 1. Rapidly heating the Aloe Vera gel to a temperature in the range of from about 35° C. to about 80° C.
Step 2. Adding to the heated Aloe Vera gel stabilizing antioxidants. Step 3. Rapidly cooling the heated Aloe Vera gel to a temperature in the range of from about 20° C. to about 30° C.
The process is also known as low-temperature process or semi-pasteurization, because the temperature developed during the method's steps is not so high as in pasteurisation, and thus ensures effectiveness of vitamins, amino acids, minerals, enzymes etc. substances present in the organic composition of Aloe Vera. 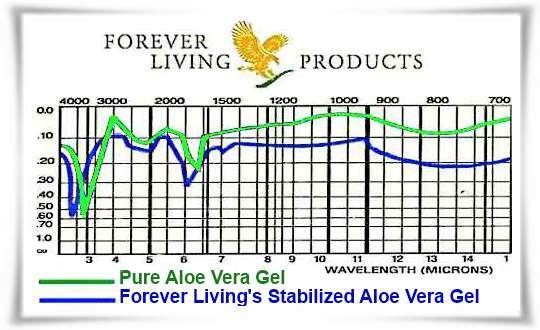 The diagram below shows the comparison of the nutrients contained in pure Aloe Vera gel, and the nutrients contained in Forever Living's stabilized Aloe Vera gel. Stabilizing agents or stabilizers are natural antioxidant ingredients derived from fruits and seeds, they are added in a small percentage to the gel and are important for the process. The stabilizing antioxidant agents may be a tocotrienol / tocopherol blend, rosmarinic acid, polyphenols, or any combination thereof. Citric acid . Produced from sugar solutions of citrus, such as lemons, oranges and limes. Potassium sorbate . In natural form found only in the fresh berries of mountain Ash from where Forever Living Products is supplying them. Sodium Benzoate . Produced by forest fruits as blueberries and other wild berries. Vitamin E or Tocopherol . Produced from wheat germ oil, rice oil and other vegetable oils. Xanthan Gum . Derived from plants such as kelp. Ascorbic acid . Known as very important for the body Vitamin C .
Sorbitol , a natural sweetener made ​​from corn. In the table below you will discover with surprise that the nutrient content is almost identical (and in some cases more) in stabilized Aloe Vera, due to the synergy of the herbal ingredients added to it. ppm Means "part per million" and is a measurement of content of various components in air, water or soil. * Prepared by the American Patent Number 4178372 and 4446131. After stabilizing, the stabilized Aloe Vera gel is subjected to laboratory testing and analysis to ensure purity and density, and if passed is ready to move to the production stage. 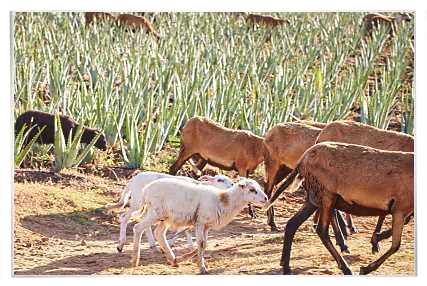 From the stabilized Aloe Vera gel, primarily is produced Aloe Vera Gel juice in various types and flavors. In some cases, the addition of other substances beneficial for our organism in Aloe Vera juices, further enhances its effectiveness. Also, produced various skin creams and lotions useful for first aid to minor injuries - burns, for substantial help in treating various skin conditions, as well as in anti-aging cosmetics and personal care products. The benefits of using products from stabilized Aloe Vera gel was not possible not to be available by Forever Living Products for our favorite pets and for the cleanliness of our house, covering the care needs of all the members of our family!